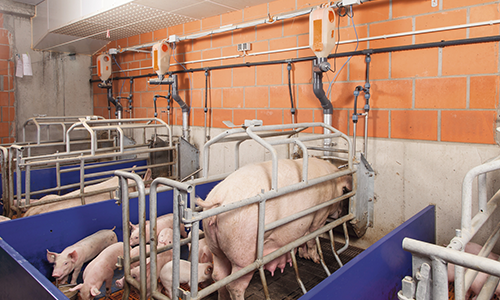 The EasySlider Pro is a computer-controlled feeding system for sows in farrowing pens. This specially designed crate can be installed in several positions, allowing for easy retrofitting of an existing space. More room for scampering piglets increases livability and comfort. 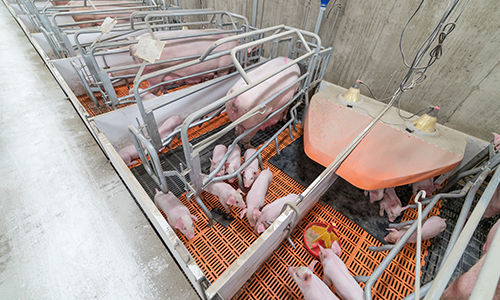 The adjustable crate means you can house both smaller gilts and larger mature sows.